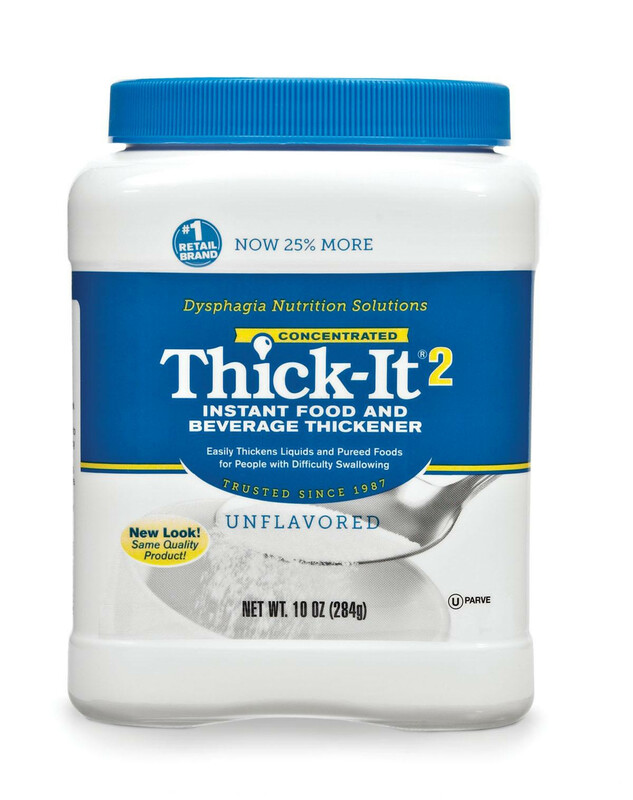 The Kent Precision Foods Thick-It 2 Instant Food and Beverage Thickeneris a method used to help people who have problems with swallowing foods and liquids? A thickener works by giving beverages a thick consistency for easy swallowing. 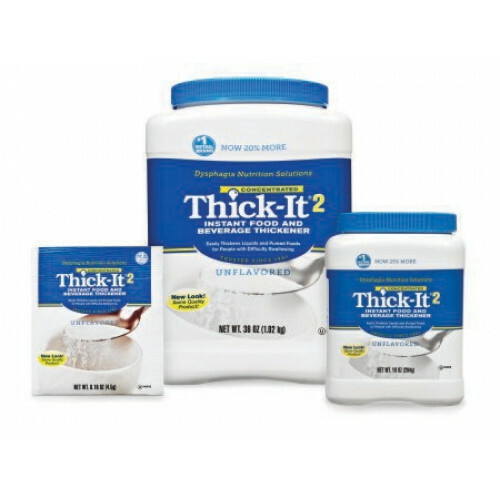 The food thickener formula also works with food, when the food is placed in a blender, you can add water and the thickener to the blender container and blend together for consistency; this will help people who have complication swallowing or are limited in opening their jaw for solid foods. The formula of the Precision Foods Thick-It 2 Powder Food Thickener dissolves quickly, it does not lump together which can be an unpleasant taste known to happen in other thicker formulas. The ability to quickly dissolve in blends or drinks remove the possibility of lumps forming from the formula. 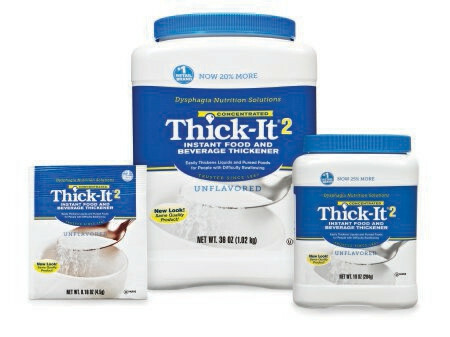 The Thick-it 2 Concentrated Instant Thickener is provided Kosher Parve and Gluten-free, respectively. Thickeners are a solution for many people who have trouble swallowing, and Kent Precision Foods has been on the front line of providing one of the very first foods and beverage thickners, giving them the time to perfect their formula powder. Clear formulas are available such as the Thick & Easy Clear Thickener.